Can the revolution in Syria survive an imperial carve up? The situation facing the Assad regime is dire. Having lost almost every major battle it has fought with the armed rebels for over a year now, it is facing crises on every front. Since March it has lost control of the entire province of Idlib to the Jaysh Al-Fatah coalition. In Aleppo, the Fatah Halab coalition are on the offensive and gradually liberating districts of the city from the regime, while last month the regime’s only ground supply route to the city was temporarily severed by rebels. In the south the Southern Front continues to pressure the regime around Daraa, and is advancing in Quneitra province, while rebels in Lattakia continue to mount incursions into the regime loyalist province. Assad is facing a manpower shortage as tens of thousands of Syrians flee regime held areas to escape conscription and deteriorating living conditions. Refugees who left Syria recently describe being unable to live, as regular electricity and water cuts, and the rising price of food and rents makes the situation unbearable. Into the breach has stepped Russian imperialism. Russian troops and military equipment have been flooded into regime loyal provinces in Western Syria, through the ports of Lattakia and Tartous. Photos abound on social media of Russian marines posing with pictures of Assad and Putin in regime strongholds. Russian forces have been deployed in cities across western and central Syria to shore up the regime and defend its hold on key provinces. Now Russian jets are bombing rebel targets across the country. The Russian intervention signals not the strength of the regime, but its weakness. The regime has exhausted its allies and supplies of mercenaries, and now must rely on the troops of its imperial master. “The Iranians told the Russians bluntly: if you don’t intervene, Bashar al-Assad will fall, and we are not in a position to keep propping him up,”. The locations the Russian soldiers are deployed to indicates the underlying strategy for the partition of the country, long predicted as the fallback plan for the regime and its backers if it could not defeat the armed rebellion. Official statements that the Russian soldiers would deploy to Damascus, Hama, Homs, Latakia but not to Deir Ezzour or Aleppo show the regime is reinforcing its control over Syria’s central region, and has no intention of trying to recapture Eastern Syria. The targeting of ISIS free areas of Homs and Idlib by Russian jets shows that Putin’s intervention is aimed squarely at the rebels, not at ISIS. Despite what some analysts heralded as a dangerous step towards a third world war, Russia’s intervention has come with the tacit approval of the US. In advance of the Russian military deployment and bombing both the US and Germany agreed to withdraw their patriot missile batteries from Turkey’s border with Syria. And American officials have publicly stated that Russia’s military deployments have Obama’s approval, as long as they only attack ISIS. Having long attempted to bring about the rebels defeat by depriving them of weapon’s and support, the US government is now letting Russia’s military intervene unopposed to try and finish them off. The regime must rely on partition and ethnic cleansing to maintain its rule because it has so thoroughly lost the support of the vast majority of the populace. At its height in the spring of 2013 the rebellion controlled 60% of Syria’s territory, but only 30% of the population lived in opposition controlled areas. This was a result of regime strategy, and the human geography of Syria. The most populous cities lie in Western Syria, and here the regime concentrated its forces in order to maintain control. In mid-2012 under pressure from the growing rebellion, the regime pulled back from outlying areas, ceding control of the North East to the PYD, abandoning the East of the country except for Deir Ezzour City and withdrawing from many smaller towns to reinforce Damascus and the provincial capitals in the West. This strategy allowed it to hold out in well fortified positions against the more numerous but poorly armed rebels, until help arrived in the shape of Hezbollah and Iranian intervention. Once the regime had consolidated its positions, it went on the offensive. The rebels, overstretched and poorly armed had their supply lines cut and were driven back from their many fronts with the regime by Hezbollah and IRGC shocktroops. The turning point was the loss of the town of Qusayr in June 2013, a key supply route for the rebels from Lebanon. This began a long string of defeats which lasted until early-2014. As the defeats mounted, rebels retreated to strongholds in their local neighbourhoods, villages and towns. They were systematically cut off, besieged, shelled and starved into submission. Whole towns and neighbourhoods were simply wiped off the map by the regime, displacing hundreds of thousands and causing the huge refugee exodus from Syria throughout 2013-2014. Larger towns like Moadamiyah, Barzeh and Qaboun which were too big to conquer easily were subject to brutal sieges until the rebels agreed to hand over their heavy weapons. Partially disarmed they were then neutralised as a threat, although the regime maintained the torment by tightening the sieges and occasionally shelling the towns in violation of the truce, usually as punishment for rebel victories elsewhere. These besieged towns and cities are dotted around central Syria. Damascus is still effectively surrounded by opposition held towns, and neighbourhoods; Al-Tal to the north, Tishreen and Qaboun to the north east, by Jobar and the towns of Douma and Irbin in the Eastern Ghouta, to the south by the neighbourhoods of Beit Sahm, Yalda, Babbila, Yarmouk and Hajar Al-Aswad, to the south east by Daraaya and Moadamiyah, to the west by Qudsayya and Al-Hammeh and several others in the countryside of the Western Ghouta. These towns and neighbourhoods have hundreds of thousands of internally displaced people residing in them. A similar situation exists near Homs. The neighbourhood of Al-Waer, north of Homs City, has 500,000 displaced people living within it. Further north in the Homs countryside is a belt of towns and villages still held by the rebels. The towns of Rastan, Talbisah and a-Zafarana in this rebel belt were recently bombed by Russia. If the regime is to construct a viable rump state which can be defend and serve as its basis for partitioning the country, it will have to eliminate these rebel held towns from the areas it dominates. With the population of these towns numbering into the millions, all of them staunchly opposed to the regime, and the regime being incapable of offering political solutions, the only option for the regime is to starve them into submission and ethnically cleanse them. This is what the regime is now doing; the sieges are being tightened in an attempt to enforce its rule. Al-Tal – originally a town of 100,000 – now shelters up to 1 million internally displaced people and has been subject to a regime blockade for over 70 days. The residents have run out of supplies of food and medicine, and cannot even bribe regime soldiers to allow goods to enter. Similar blockades have been imposed since mid-summer on most of the towns surrounding Damascus. Some of these towns have given up in response to the terrible conditions. In mid-August rebels in the town of Hafir Alfoka handed themselves into the regime, with their fighters to be integrated into pro-regime paramilitary organisations. In exchange, food supplies and medicine are to be allowed to enter the town. The residents of Zabadani refused a similar deal, and so were the victims of the first attempt to clear one of the besieged towns by force. The conflict around Zabadani demonstrates the regime and its backers long term strategy for the partition of Syria. Zabadani was a popular resort town in the mountains. Its residents, a mix of Sunni’s and Christians, had taken an active part in the revolution. When the revolt was beaten back in the area in 2013-2014, Zabadani and the surrounding towns were placed under siege. Lying close to the Lebanese border, and on a crucial supply route, the regime could not tolerate rebel control of the town. During the summer Iranian Revolutionary Guard (IRGC) and Hezbollah troops backed by artillery and the Syrian air force attempted to take Zabadani and force the rebellious population out. The rebels, all locals to the area, fiercely resisted for over 80 days, while the regime unleashed massive violence on the town. Over 1000 barrel bombs were dropped on Zabadani, while thousands of Hezbollah and IRGC troops attempted to storm it. After weeks with little progress and heavy losses for the regime, the regime shelled and threatened to storm the nearby of towns Madaya and Bloudan if they did not hand over the civilians from Zabadani who they were sheltering. Unable to defeat the resistance of the Zabadani rebels, the regime was attempting to kidnapping and torture their relatives to break their resolve. Despite everything the regime and its backers were not able to take Zabadani. Over 80 days they whittled down the rebels to controlling a few hundred square metres of the city centre, but they refused to surrender and 600 vowed to fight to the death. In response to the attacks, the Jaysh Al-Fatah rebel coalition stormed the regime loyalist towns of Fuah and Kafraya in Idlib to try and pressure the regime into halting the attack. After JAF’s advance threatened to conquer the towns, Iran offered the rebels a ceasefire and negotiations took place between representatives of Iran, Hezbollah and Jaysh Al-Fatah in Turkey. It is a sign of the regime’s lack of strength and sovereignty that the negotiations included only representatives of Hezbollah, Iranian officials and Jaysh Al-Fatah. No representatives of the regime were involved in the talks. The initial offer from the Iranian negotiators was for the entire Sunni population of Zabadani to be moved to Idlib province, in exchange for transfer of the Shia populations of Fuah and Kafraya – and the regime troops protecting them – to Damascus. This sectarian population transfer was rejected both by the rebels and the civilian council of Zabadani. 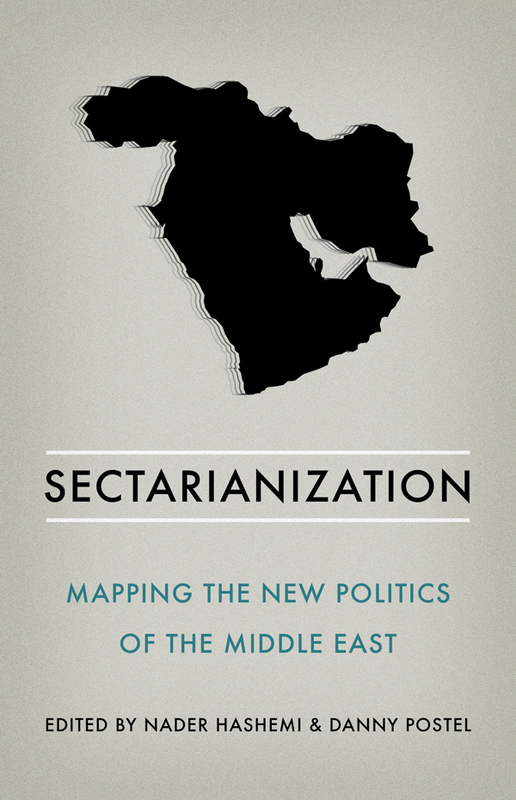 They saw in it the beginning of attempts to move the majority Sunni population out of regime controlled areas, dispossessing them and laying the basis for a sectarian partitioning of the country. Following the rejection, regime resumed its assault on Zabadani, and Jaysh Al-Fatah again attacked Fuah and Kafraya. With a serious defeat looming for Fuah and Kafraya, Iranian officials again offered a ceasefire, but this time the deal offered was greater; Zabadani’s residents and fighters would be allowed safe passage to Idlib, while a 6 month ceasefire would apply to the area, and the blockades on rebel held Madaya, Baqeen and Sarghaya would be lifted. In addition, 500 captives were to be released from regime prisons. In return 10,000 civilians would be evacuated from Fuah and Kafraya. The UN was to oversee the ceasefire, and facilitate the transfer of the fighters and civilians. Most significantly the agreement prohibited shelling or aerial bombing on the rebel held towns of Idlib City, Binnish, Taftanaz and Maarat Misriin in Idlib province. As well, helicoptors were not permitted to fly there, or drop supplies of ammunition to regime forces. This offer was accepted by Jaysh Al-Fatah and the Zabadani rebels. While it was widely criticised by opposition activists, it was seen by many as a necessary concession to stop the daily bombardment of rebel towns in Idlib, save the remaining rebel fighters in Zabadani and provide some respite to the civilians in surrounding towns. The ceasefire was quickly violated by the regime shelling Taftanaz, both sides claimed to want to hold to it. It has now been superseded by the Russian intervention, which has struck towns across Idlib province. Following the bombings, the UN has suspended its humanitarian work in Syria, meaning only a few wounded fighters managed to be transferred out, and no civilians. The events surrounding the siege of Zabadani provide an insight into the regime’s overall strategy, and also its weaknesses. The fact the rebels were able to wring what in effect was a No Fly Zone out of the regime’s backers is a testament to their strength, and the regime’s desperation to avoid a serious rout of its forces which would damage morale and deprive it of much needed manpower. It shows the regime will negotiate, but only when it is in a position of weakness. Does the strength of the rebels, and weakness of the regime make a negotiated end to the conflict possible? Many commentators, including those on the anti-war left, are arguing for a negotiated solution to the conflict arranged between all the intervening powers, as a way to de-escalate the conflict in response to Russian intervention. Talked about as an alternative to further war or western intervention, this ignores the fact that this has been the main demand of the US and EU states from the beginning of the uprising, for a political transition where Assad and his inner circle step down. It has been the Assad regime which has categorically refused these repeated offers of a political transition. Britain’s last offer of a 6 month transition period whereby Assad could remain in place temporarily and oversee the transition, was rejected within 48 hours by the regime. For those advocating a negotiated solution, they have to acknowledge and account for the regime’s past treachery regarding truces, amnesties and ceasefires, and its persistent rejection of all attempts to negotiate an end to the conflict. Just a few examples demonstrate the impossibility of negotiating with the regime from a position of weakness. In May 2012, while the UN was overseeing the final ceasefire to prevent civil war, pro-Assad sectarian shabeeha massacred 108 civilians, mostly women and children in Houla, Homs. In August 2013 while the UN inspectors arrived in Damascus to investigate allegations of chemical weapons use, Syrian troops fired sarin gas shells at opposition strongholds across the Damascus farmland known as al Ghouta, suffocating hundreds of civilians to death. 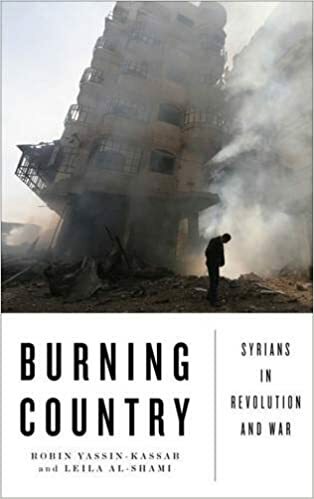 In February 2014 while the UN supervised a convoy to evacuate rebels’ families from central Homs, pro-regime extremists opened fire on the convoy. Many evacuees were unaccounted for, reportedly detained in contravention of the ceasefire agreement. In September 2015, the truce of mutual evacuations in Zabadani and Fuah was reached, reportedly also with the UN as a mediator. Within 48 hours of the truce, not only did the regime massacre children at an amusement park in Homs City and bombard civilians in the town of Saraqeb, Idlib, but the regime also bombarded the town of Taftanaz which is covered by the truce with Fuah, killing among many others the media activist Abbada Ghazal. The regime has shown itself time and again to be incapable of reform, and simply uses the channels of diplomacy as a weapon to buy time, disorganise and divide the opposition, allowing it to consolidate its position and counter-attack. Assad is happy to play a waiting game, while the opposition backers try and push rebels factions into negotiations whose terms they will never agree with. “The only option for us now is to destroy terrorism, because implementing any solution or any political ideas that might be agreed on will need a state of stability. Otherwise it has no value. This is a clear statement that the regime will not accept any political solution until it has crushed the rebels, meaning a “political solution” imposed by itself over the bodies of hundreds of thousands of dead Syrians. This is an admission that in reality, the regime sees only a military solution: the complete crushing of the uprising. This can be seen from the targeting of mainly Free Syrian Army units instead of ISIS, and its attacks on civilian infrastructure in the liberated areas; hospitals, bakeries, civilian councils and the Civil Defence rescue organisation. 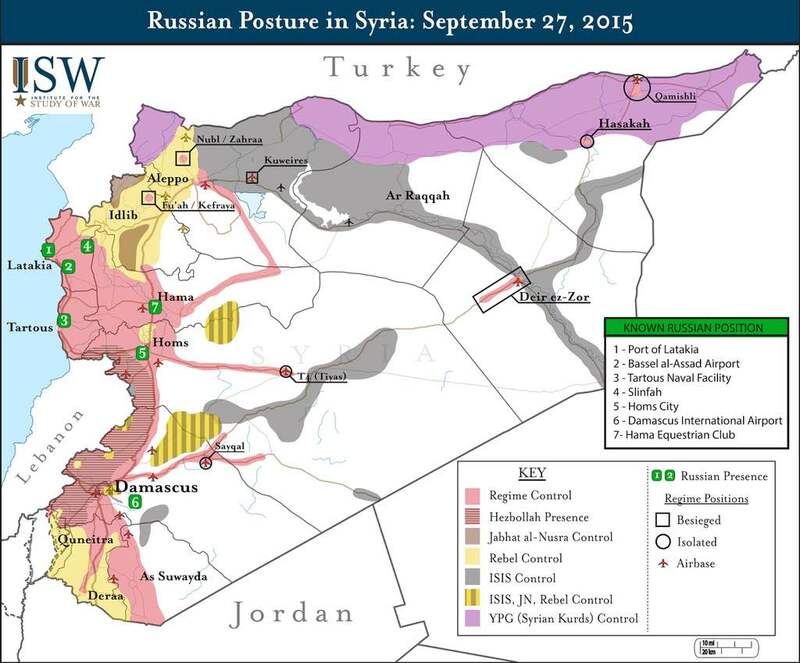 The Russian intervention cannot hope to reconquer territory; neither Assad nor his backers have the manpower for that. What they can do is halt the rebel advance around Idlib, Lattakia and Hama, and clear the rebel enclaves from central Syria to better allow the formation of a rump state. The Jaysh Al-Fatah coalition is within striking distance of Hama, and if it broke through to the rebels in North Homs, would encircle the city on three sides. Hama is famously anti-Assad, having some of the largest anti-Assad rallies before the revolution militarised. Liberating the city would be a major victory for the rebels, and would scupper plans for partitioning the country. This possibility is what terrifies the regime and its backers, and why they are launching an assault on Homs countryside and threatening to exterminate all who remain there. Whatever the impact of the Russian airstrikes on the opposition, it should be clear that anti-war activists globally need to oppose Putin’s intervention in Syria. It cannot realistically save Assad, and will only prolong the agony of Syrians who have struggled and suffered immensely to secure their freedom these past five years. Organising aid collections for opposition areas and those languishing in refugee camps, mobilising support for the Syrian revolutionaries still struggling and organising on the ground, and demonstrating opposition to any imperialist support for Assad are key activities for anti-imperialists and solidarity activists. Pressure must be applied to our own governments not to deal with Assad, and to stop any attempts to force Syrians to accept Assad’s participation in a political transition. 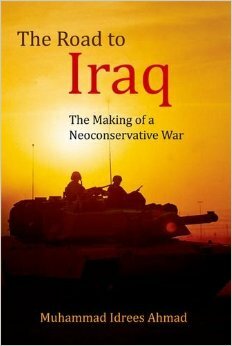 When the global imperialist consensus is that Assad must be part of the solution, this is paramount. Only the swift departure of the Assad clan and the core functionaries of the regime can bring the war to and end, and allow a political solution which preserves a united Syria, fulfils the basic principles of the revolution and can attempt to salvage a democratic civil state from the wreckage of the civil war. The alternative is for the armed struggle to continue until the regime is deposed, but that could cost hundreds of thousands more lives, and give more time for ISIS to sink its roots in the ruins left by the Assad regime and Russian intervention in Syria. The revolution must win, one way or another, because the alternative is unthinkable. If the regime backed by Russian imperialism somehow manages to crush the rebel enclaves, establish a sectarian rump state and instigate partition, we will see violence and destruction on an even worse scale. The UN is already predicting a million more people displaced in Syria by the end of this year. A triumphant regime will slaughter thousands, and expel millions more to secure its rule. The current Palestinisation of the Syrian people could become a permanent reality, as millions of Syrians would be excluded indefinitely from this nightmare country divided between the tyrannical rulers of Assad and ISIS. Thank you for bringing clarity to a difficult and complicated situation. Syrians now have nowhere and no-one left to run to for safety. They will stay and protect those areas cleared of pro-regime fighters and continue to survive or die trying. Previous Previous post: Are There Things Money Shouldn’t Be Able To Buy?